In many use cases, The Online Store operates with just a single seller and the software is made keeping the same in mind. But for a company that wants to sell products through a number of vendors, it is of the highest importance to have support for multiple vendors in their marketplace software. This allows for separation between sellers and offers many more features, especially when two sellers are selling the same kind of product. Detailing and advantaging the first point, it is incredibly important for a marketplace software to offer the ease of administration for its Sellers. Seller related settings should be full-featured and highly customizable. These include various types of policy control, such as return policies, the ability to set access of the seller’s to the site’s catalog, and to generate statistics based upon seller activity. A software is remarkably efficient if it allows to customize it’s almost every feature to suit the different needs of different users. If it does not allow you to set up various themes and discounts, it is probably not the best choice. There are various choices that are specific and unique to a business, and these choices are best left to the individual using the software, and therefore various customization options should be available. The software must provide options for further customizations and add-ons. This can be through a store that allows the community of users around the software to build extensions and add-ons, and monetize them, or through on-demand features that could be requested and paid for to be provided by the makers of the software. There are often various add-ons required, such as payment gateways for things like PayPal, and feature additions for shopping carts, as well as design templates for the site, and all these contribute to the usability of the site. Though in the history of software, it is not believed to be the priority feature to look for, To believe It is best to use a software which is open source and has the scope and capacity to extend it to the store’s usability. This has various advantages and to list a few, Software that is open source will have its complete source code available, which allows for the company to make its own customization and to modify it according to its specific needs if the need be. Needless to say, A software that is time and Cost efficient and gives you the benefit of less efforts in administration and operation, and is also easy to understand and access adds up to the best choice too. 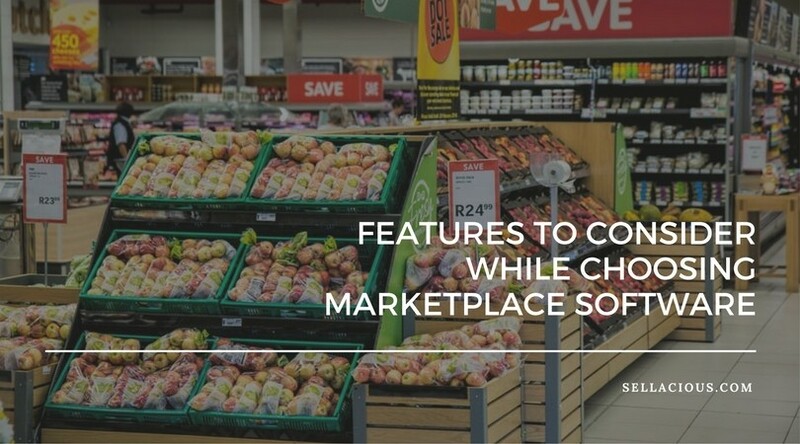 If all these criteria are not fulfilled by the marketplace software you are considering, you may want to reconsider, and look for an option that includes features that serves best to your marketplace establishment and growth . Without any of these essential features, there will eventually be times that you feel handicapped as you look for workarounds. 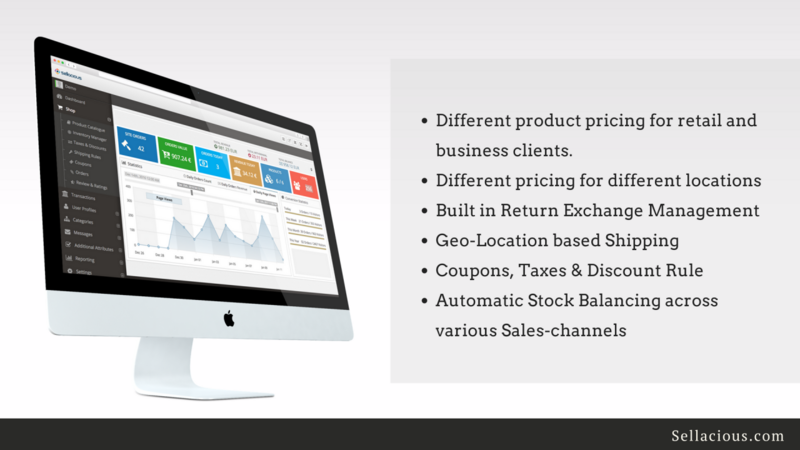 With lots of marketplace software available, you have a plethora of choices to explore. 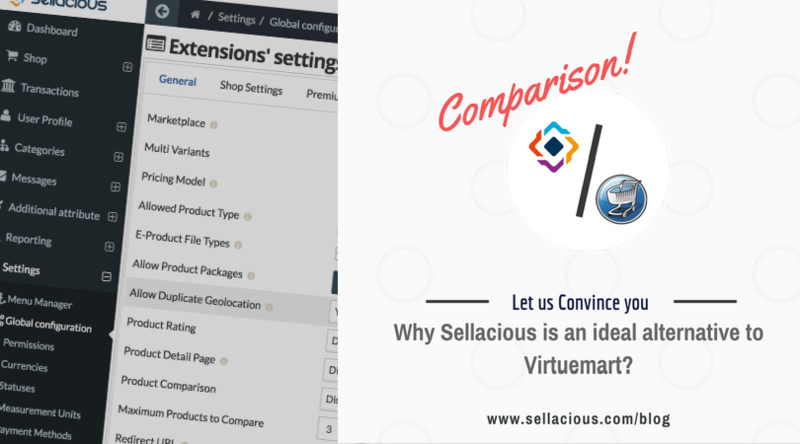 Also, We personally suggest you to check out Sellacious, an excellent solution that has all of the features that you would look for, and many extra ones that might make your management of an online marketplace an efficient and easy job. Not to brag but we have all above listed features available with Sellacious.